Moisture is the most common problem in basements – either entering from outside sources or being produced inside by the occupant’s activities. The soil around the walls can contain a large amount of moisture from surface water that is seeping down or from a high water table. 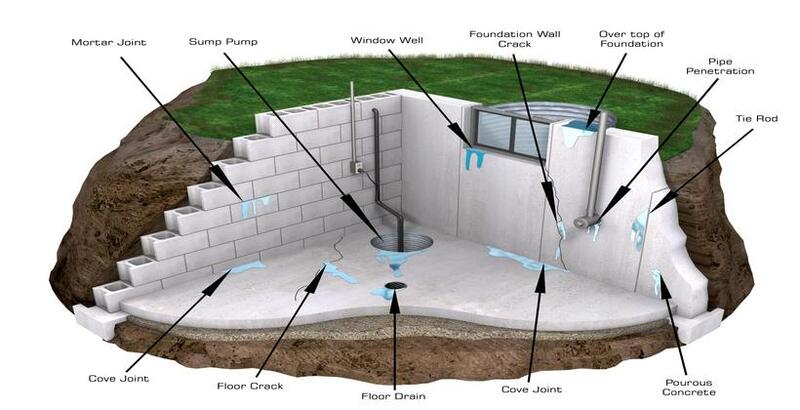 Water can find its way inside by gravity or through a crack or flaw in the water protection layer of the foundation. Water can also be pulled up by a “wicking action” or pushed up” by hydrostatic pressure from the soil under the walls or floor. In the summer, warm moist air from outside can enter the house and lead to condensation on the cool basement walls or floors. Daily activities also produce moisture that can be trapped inside the home.